Airborne Pathogens Be Gone! New Purifying System Helps Protect Residents - Grace Ridge Retirement Community - Morganton, N.C. Most of us know the importance of taking steps to ensure we stay healthy and protect ourselves against infections and illness. We scrub surfaces, we scrub our bodies and we scrub our hands. But what about scrubbing the air? 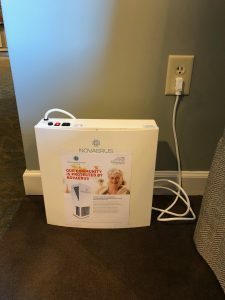 Novaerus, an air purification technology that’s been implemented at Grace Ridge Retirement Community and throughout Carolinas HealthCare System Blue Ridge, is doing just that. “This unique technology quietly scrubs away harmful pathogens in the air. It helps us ensure our residents and staff members are protected from infections and illnesses that are caused by airborne viruses, bacteria, allergens and mold,” said Executive Director Brenda Yost. 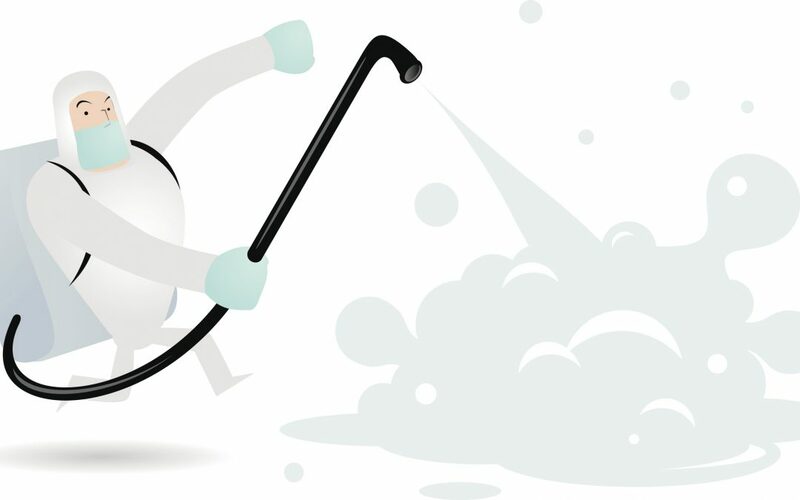 Benefits of the healthy air system are numerous and include protection against viruses like the common cold, norovirus and the flu; reducing bacteria to prevent infections; removing odors; destroying dangerous C-Diff spores that can cause illness; and eliminating pollen, mold and other forms of irritating allergens. The company’s website notes the technology has an “extremely high kill rate” and has been independently tested and proven to be effective. Yost noted that Grace Ridge will add additional Novaerus systems, as needed, and interested residents can rent or purchase a portable unit for their apartment or villa. Grace Ridge’s investment in healthy air technology comes at an ideal time – before flu season and the holiday season, when infection and illness are more common. The systems were also in place in time for last month’s Senior Wellness Fair, where asthma and allergies were a hot topic among residents and attendees. Guest speaker Dr. Patrice Kirchoff of Allergy Partners of the Blue Ridge discussed allergic rhinitis (hay fever) and asthma in the senior population. More than 20 percent of the country’s population is affected by hay fever, she said, which is caused by exposure to typically harmless allergens such as pollen, dust mites, pet dander or mold. However, she noted, in people with allergic rhinitis, the immune system mistakenly identifies the allergens as ‘intruders’ and generates a reaction against them. Dr. Kirchoff noted the cornerstone in the treatment of allergic rhinitis is to avoid allergens that trigger symptoms. Additionally, she said people with asthma should avoid allergens and irritants, which should help reduce the amount of medication needed to control asthma. For tips on how to avoid situations that cause allergy symptoms and help minimize your exposure, download the Allergy Partners Environmental Control Handbook.